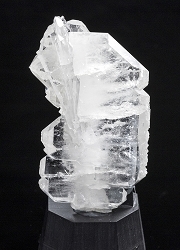 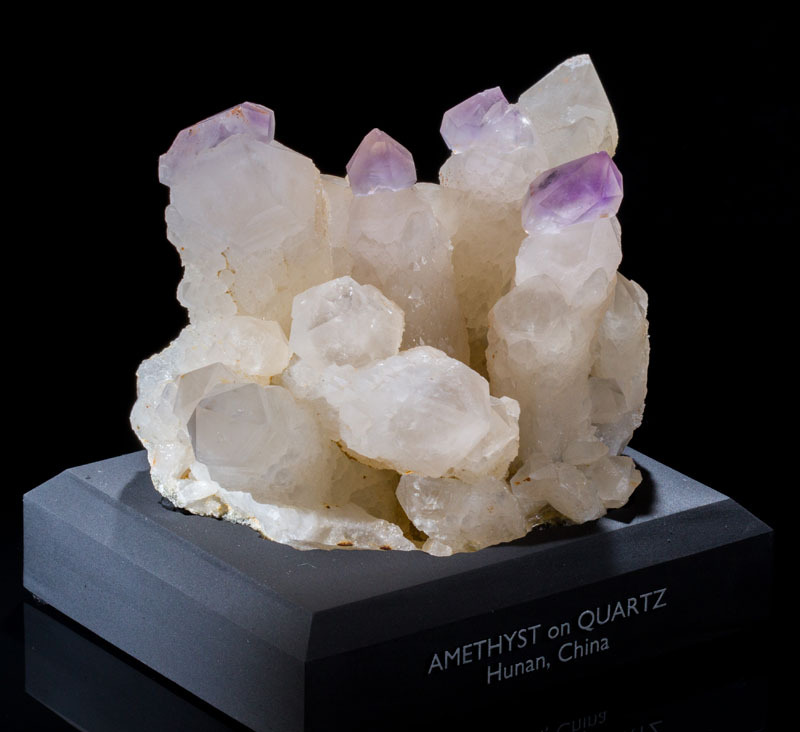 A remarkably aesthetic quartz specimen from China! 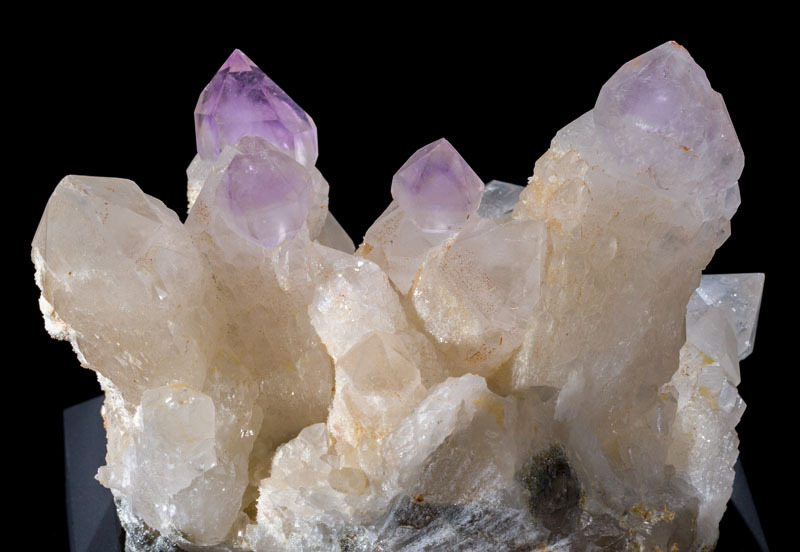 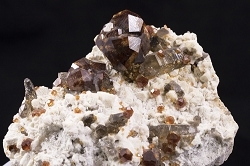 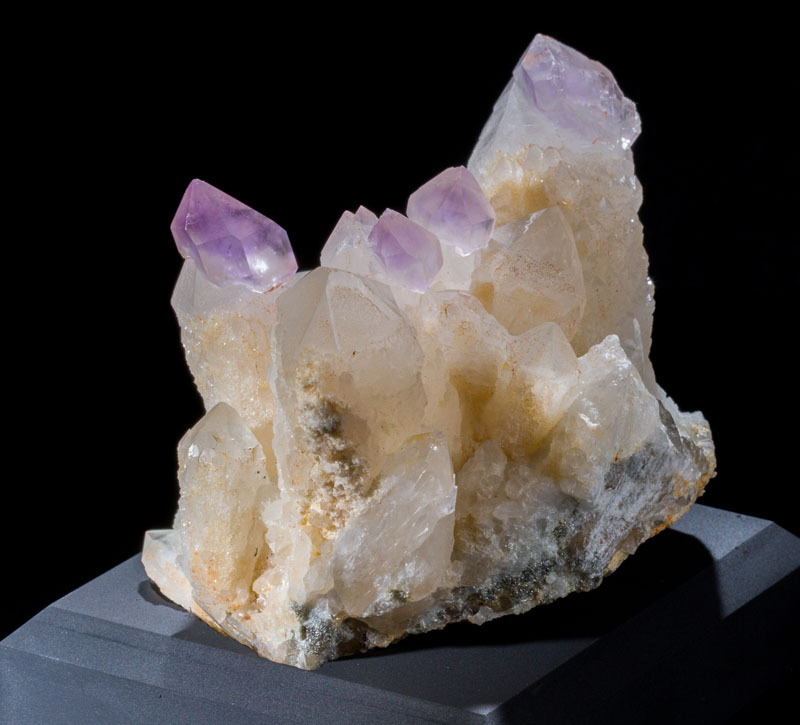 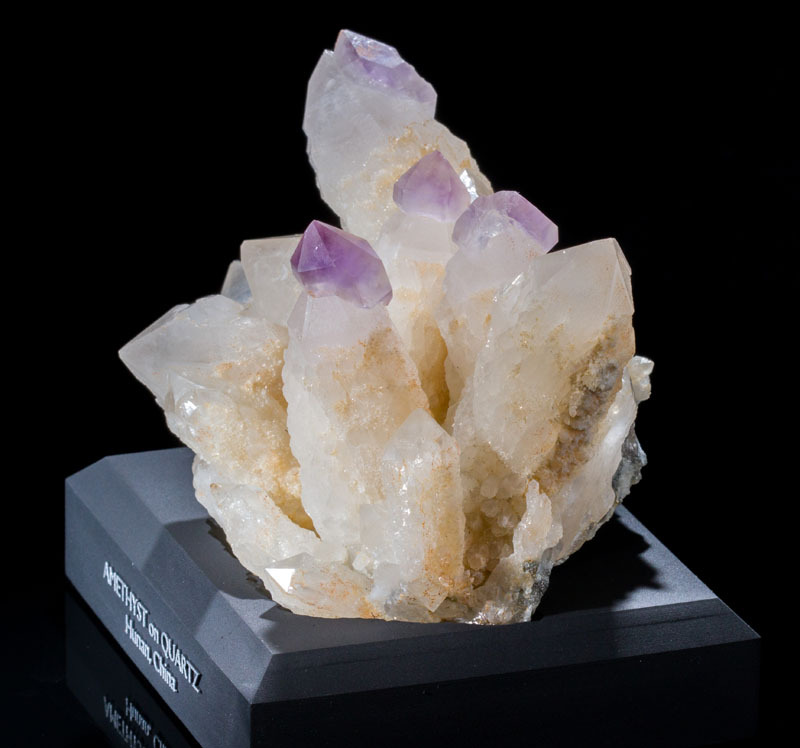 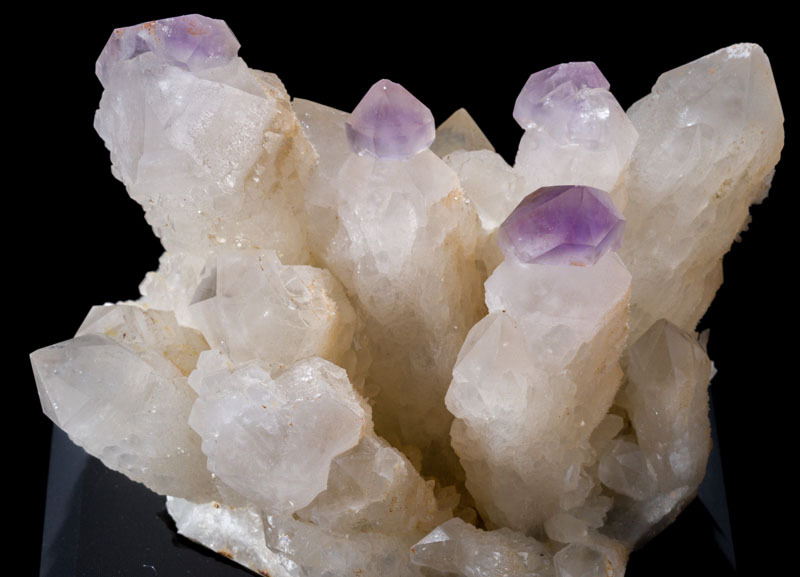 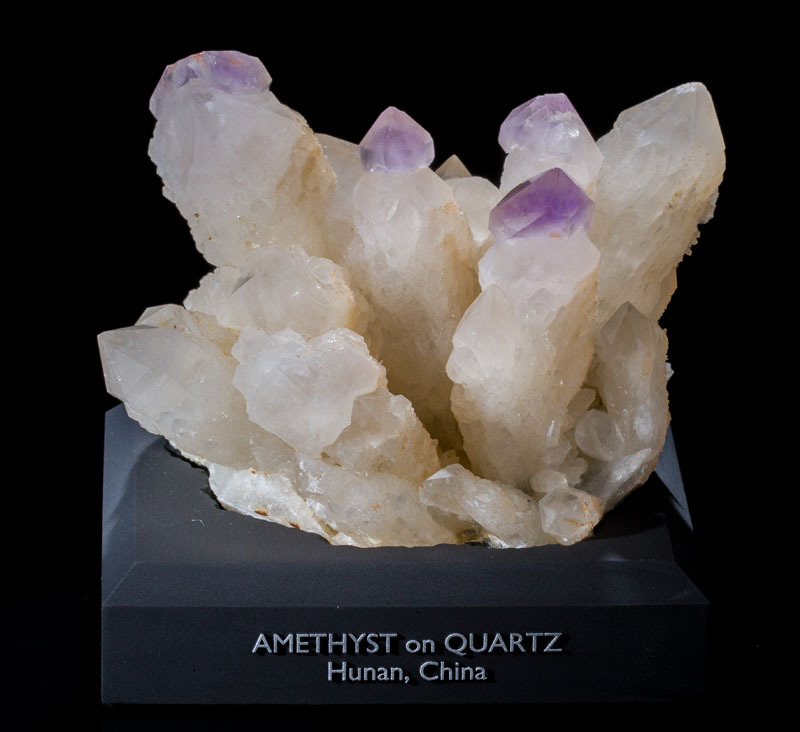 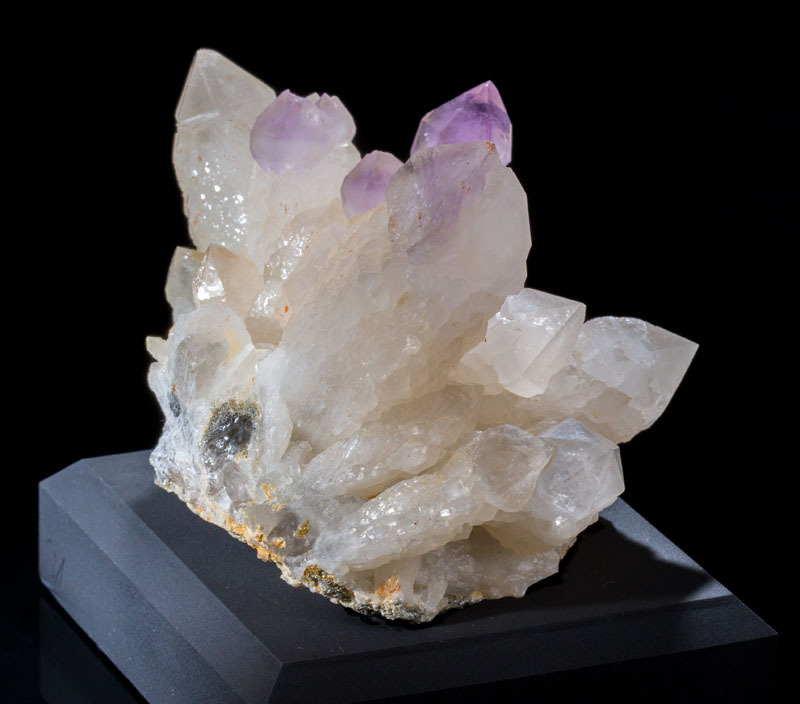 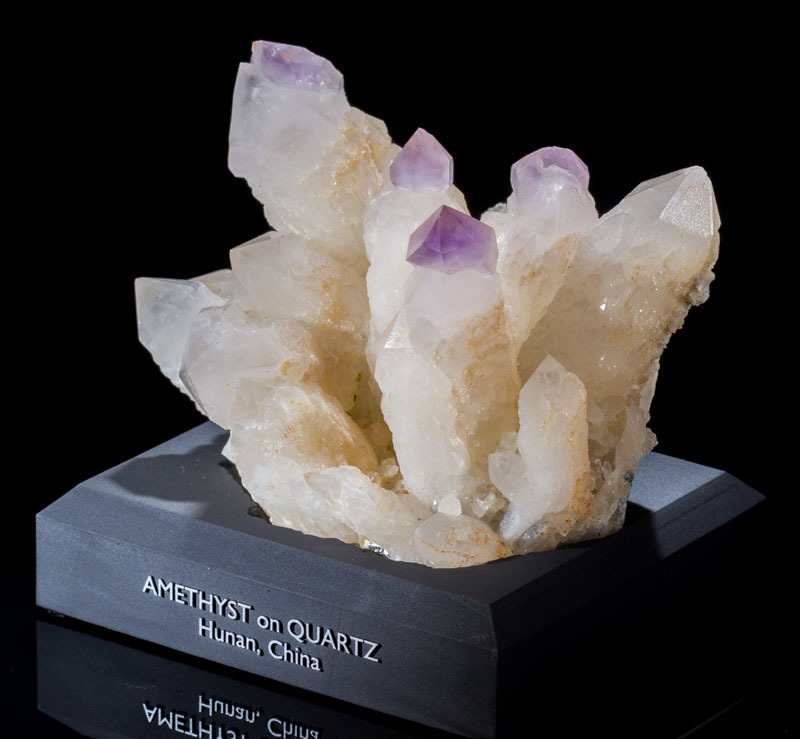 The white quartz cluster is topped off with four amethyst crystals perched atop the tips of the quartz forming a scepter. 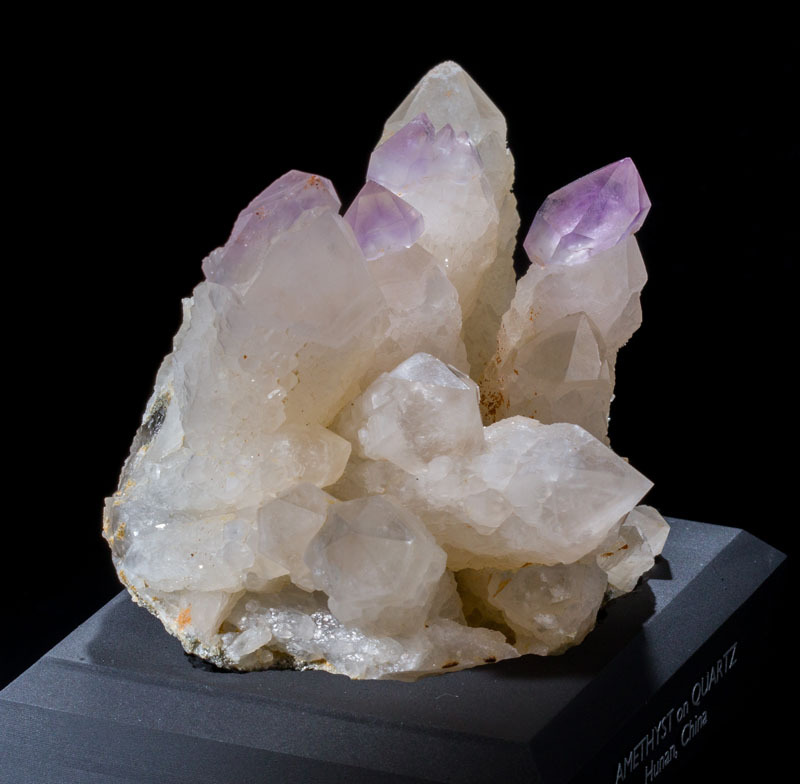 A very unusual and beautiful find! 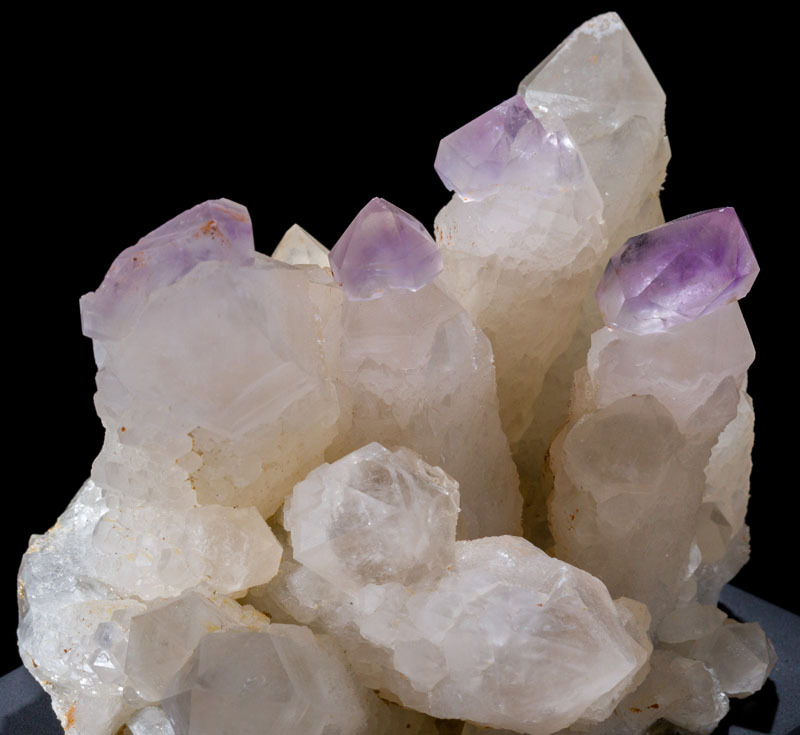 Condition is good with just some very minor dings which are only visible under extremely close examination. 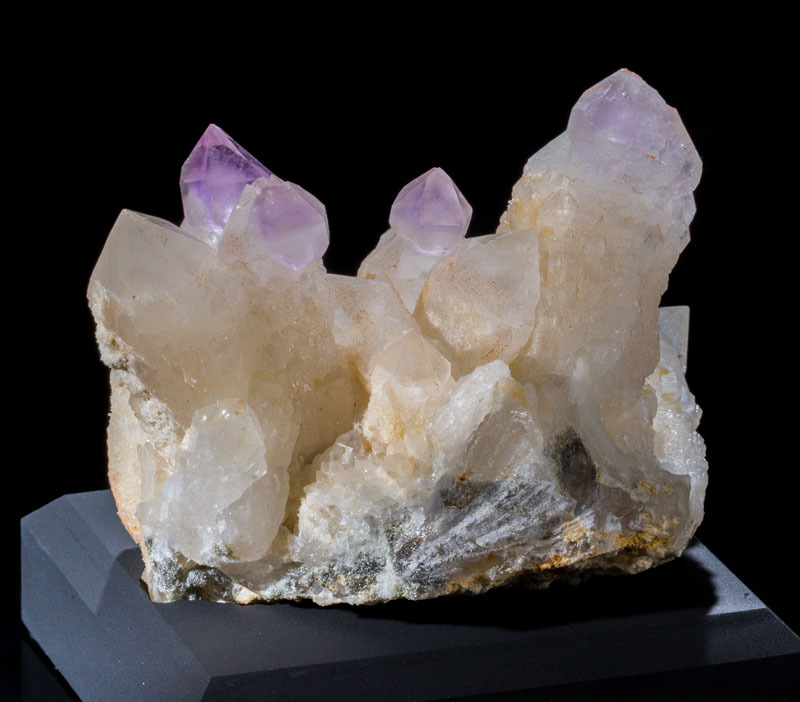 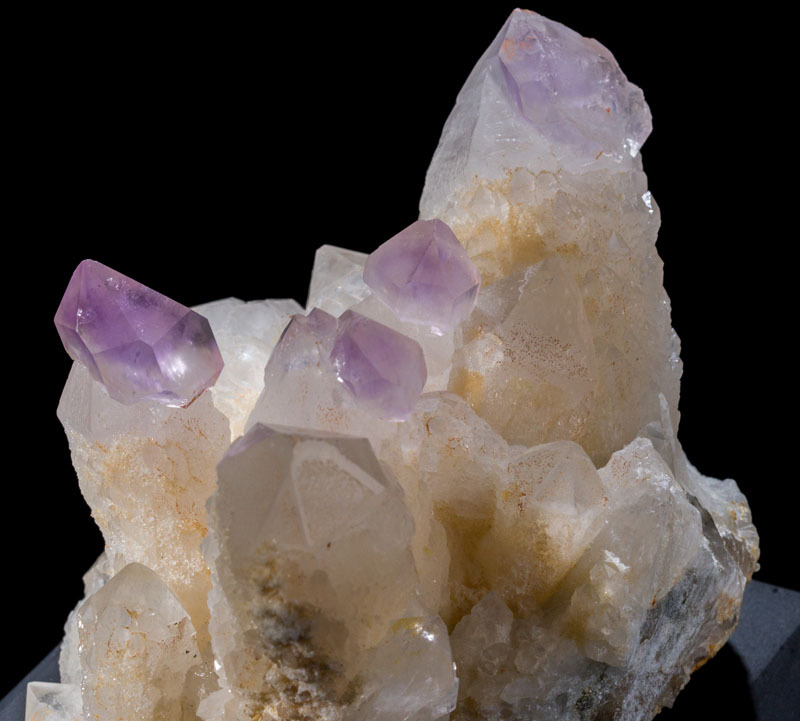 The amethyst on the large quartz in the back appears to have been cleaved once during its life, but it has self-healed as it recrystallized. 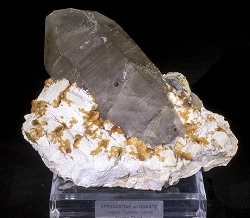 The specimen comes with the labeled acrylic display base.